← IS threatens The White House and New York City. The defamation suit, based on them alleging that the Lembah Pantai MP was a “traitor” and had committed “treason”, to proceed for trial. KUALA LUMPUR: Inspector-General of Police Khalid Abu Bakar and Rural and Regional Development Minister Ismail Sabri Yaakob have failed to have the defamation suit against them by Lembah Pantai MP Nurul Izzah struck out. Justice John Louis O’Hara dismissed the duo’s application to strike out the lawsuit on the grounds that the suit has reasonable cause of action and was not suitable to be dismissed. “The slander suit is not frivolous, scandalous and vexatious,” he said. 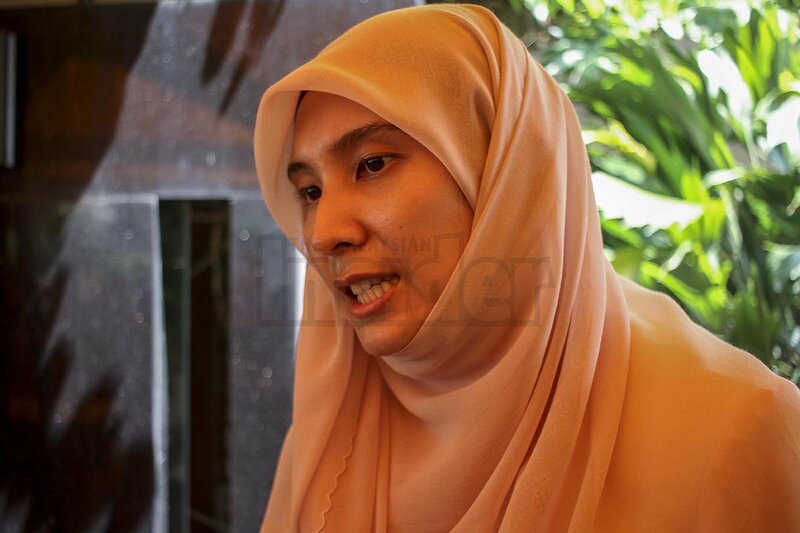 The court ordered Khalid and Ismail to pay a total of RM5,000 cost to Izzah. 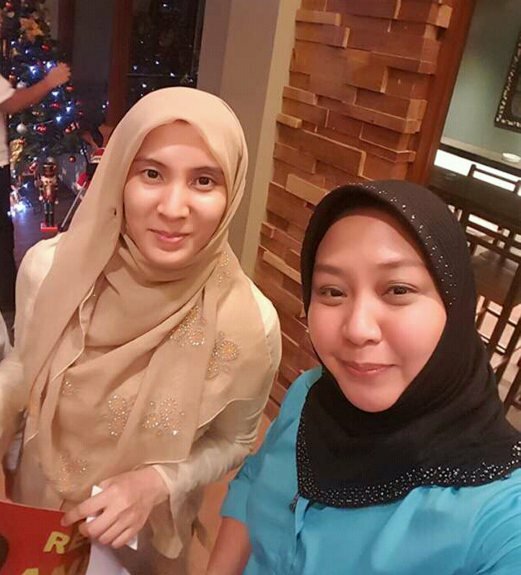 Nurul Izzah sued Khalid and Ismail last year for allegedly defaming her by claiming she had committed ‘treason’ by meeting Princess Jacel Kiram of Sulu. They allegedly accused her of being a ‘traitor’. Nurul Izzah, who is also PKR Vice-President, is seeking general and aggregated damages as well as injunctions against Khalid and Ismail to stop them from making any further defamatory statements against her. 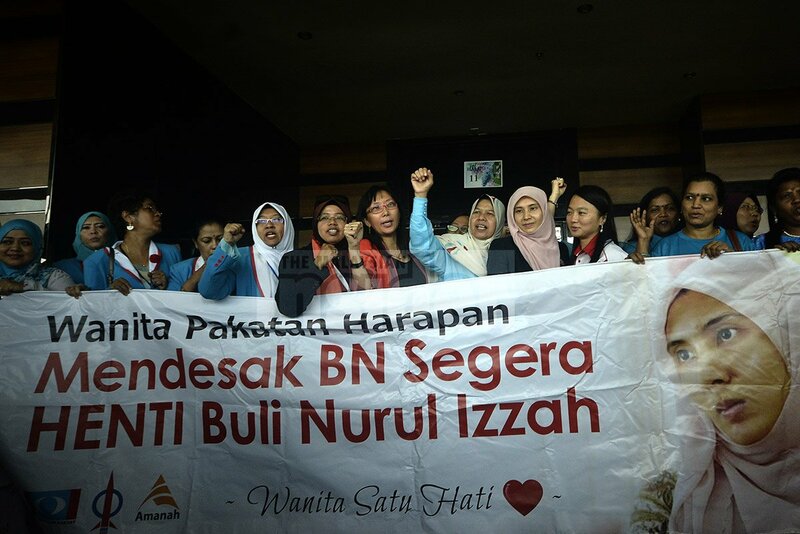 Women lawmakers of Pakatan Harapan have demanded that Barisan Nasional stop bullying fellow colleague Nurul Izzah Anwar over her photo with Filipino Jacel Kiram. BN’s continued obsession with the photo was a dirty tactic and an attempt to divert attention from bigger national issues, said Seputeh MP Teresa Kok who was speaking on behalf of the legislators. These issues included the 1Malaysia Development Berhad (1MDB) financial scandal, sputtering economy and questions over a RM2.6 billion personal donation to Prime Minister Datuk Seri Najib Razak. “We are extremely disappointed with the government for focusing all attention on a small picture instead of concentrating on issues which are ruining the country. “The issue of this photo has diverted attention from more important issues facing the country,” Kok told the press on the sidelines of the PKR congress in Shah Alam today. “Jangan main-main (don’t mess around). This could be an offence under Section 124 of the Penal Code and we can use the Security Offences (Special Measures) Act (Sosma) to investigate her,” he added. Section 124 of the Penal Code covers offences that threaten parliamentary democracy. KUALA LUMPUR: PKR vice-president Nurul Izzah Anwar may have committed an act of treason by meeting with an enemy of the state, says Inspector-General of Police Tan Sri Khalid Abu Bakar. Speaking to reporters at Bukit Aman on Sunday, Khalid said he was infuriated that a member of the Malaysian parliament would engage in a meeting with Jacel, whom he described as having a hand in the death of several police and military officers during the incursion. “She should know that her actions can be considered an act of treason. An MP meeting an enemy who attacked parts of our country; we need to know what was the reason behind this meeting. “Who knows if the previous attacks were masterminded by the people in the country? We need to call in YB Nurul to provide clarification,” he explained. Khalid said that police would also investigate other individuals involved in the meeting with Jacel. “Based on the pictures, this meeting was not coincidental. They came with banners and took photos in certain poses. In my opinion it’s not a coincidence. “It’s a planned meeting and we want to know what discussions they had. She (Nurul Izzah) should be ready with answers,” he explained, while adding that police are expecting to record the Lembah MP’s statement next week. 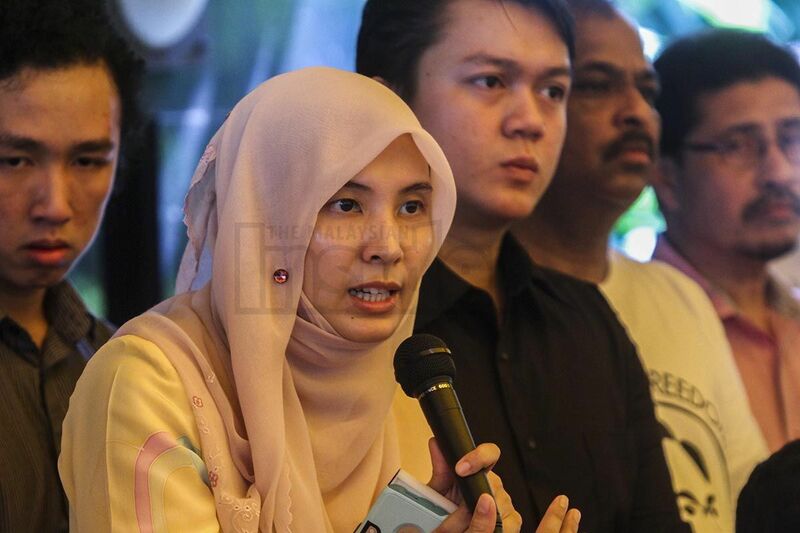 PKR’s Lembah Pantai MP Nurul Izzah Anwar today said she regretted the “hurt” that pictures of her and Sulu representative Jacel Kiram had caused for the families of those affected by the Lahad Datu incursion. “I understand that families of the fallen servicemen in the Lahad Datu incursion, affected members of the Sabahan community, including Malaysians in general, are hurt by the photographs of me and Jacel Kiram and for this I am deeply regretful of,” Nurul Izzah said in a statement this evening. She stressed that she never sought to meet with Jacel and had never been acquainted with her before. “Instead, she was one of the 15 guests invited by my hosts – the council on Philippine affairs and the Asian Institute for Democracy, the office of the city mayor of Manila and the office of the vice-president of the Philippines. She said that her sympathies and support would always be with the victims of the incursion. PUTRAJAYA: Police will submit its investigation papers to the Attorney-General’s Chambers for possible legal action against Lembah Pantai Member of Parliament Nurul Izzah Anwar for meeting with self-styled ‘Sulu princess’ Jacel Kiram. “Politicians can debate and have different opinions on any issues but one must be sensitive when it comes to the issue of security and defence of the country. Minister in Prime Minister’s Department Azalina Othman Said has been ridiculed for saying Lembah Pantai MP Nurul Izzah Anwar may be referred to the parliamentary Rights and Privileges Committee. PKR central committee member Latheefa Koya reminded the minister that the committee has no jurisdiction over actions by MPs outside Parliament that have nothing to do with the proceedings of the House. “Any complaint must be related to an MP’s conduct as a member of the House. “This is elementary; and it is baffling that the minister in charge of Parliament is unaware of this,” Latheefa said in a statement today. The lawyer said Umno and BN leaders were hypocritical in attacking Nurul Izzah over the matter when they were “completely silent” over the recent incident in which Prime Minister Najib Abdul Razak had met and shook hands with Israeli Prime Minister Benjamin Netanyahu. “The blatant double standard exposes the hypocrisy and political motives of the criticism against Nurul Izzah,” said Latheefa. Putrajaya is contemplating on referring Nurul Izzah Anwar to the parliamentary rights and privileges committee for disciplinary action after her meeting with Sulu Sultan Jamalul Kiram III’s daughter Jacel Kiram. Minister in the Prime Minister’s Department Datuk Seri Azalina Othman said the PKR Lembah Pantai MP’s actions went against her oath of loyalty to the country, taken when she was sworn in as a MP. “For me, this is like inviting foreign elements to interfere in local affairs and that goes against the oath of an MP,” Azalina said in a late statement issued in Dewan Rakyat. 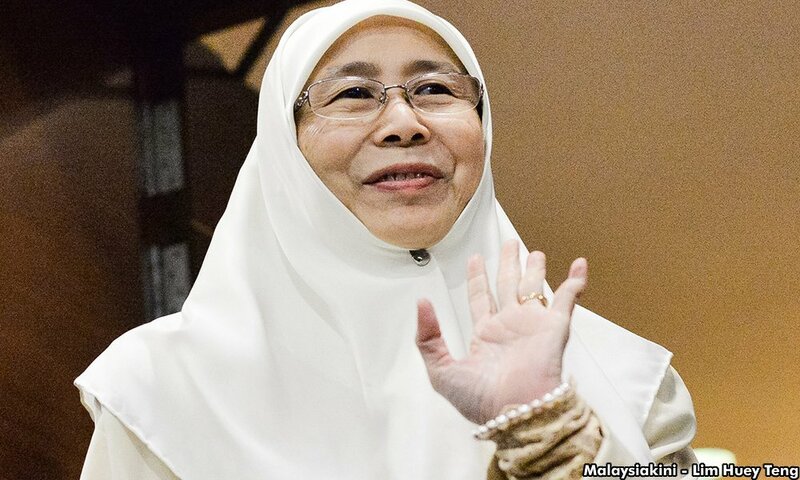 PKR president Dr Wan Azizah Wan Ismail today defended her daughter Nurul Izzah Anwar over the controversial meeting between Nurul and Jacel Kiram, the daughter of the late Sulu militant Jamalul Kiram III. Wan Azizah claimed that Nurul was “too polite” to turn down a photograph opportunity with Jacel. “You know, sometimes you go there and then people come to take photographs. Usually, sometimes you don’t really (turn down), you just be polite,” she said. She was refering to several photographs of Nurul and Jacel, whose father was involved in the Sabah intrusion in 2013, which went viral in the social media and became a controversial issue. Pro-Umno bloggers have used any opportunity to play up the issue to attack Nurul, she said. Nurul was just a victim of the event, she claimed. “Our stand is that Sabah is part of sovereignty of Malaysia, there is no change on that,” said Wan Azizah when met at Parliament. 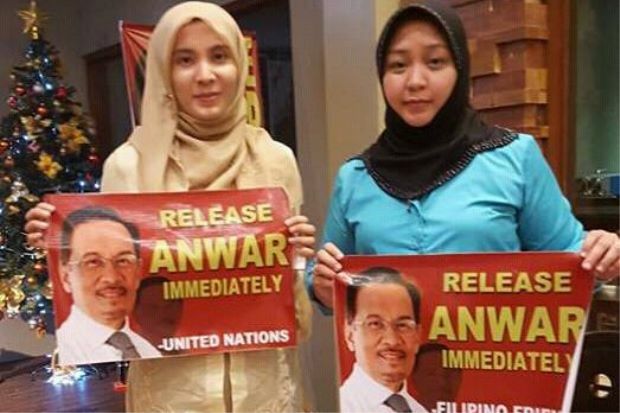 KUALA LUMPUR (THE STAR/ASIA NEWS NETWORK) – Lawmakers from both sides of Malaysia’s political divide have asked opposition MP Nurul Izzah Anwar to explain a photograph she took with the daughter of the late self-proclaimed Sulu Sultan, who ordered the invasion of Lahad Datu in Sabah. 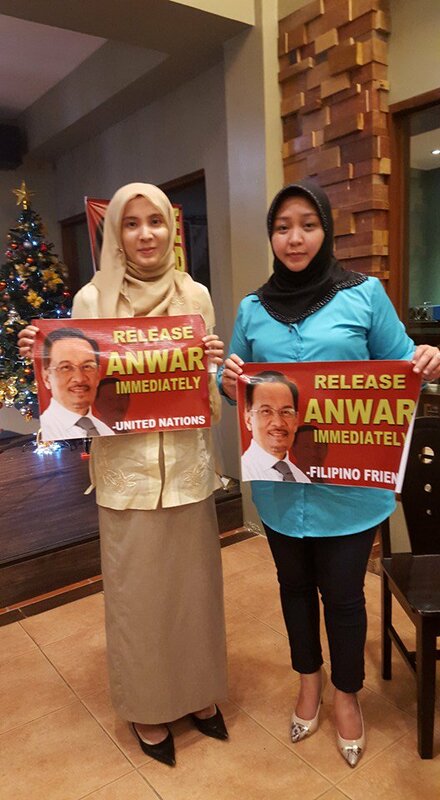 The photograph of the Lembah Pantai MP and Princess Jacel H. Kiram Hasan holding up a “release Anwar immediately” sign has gone viral on social media. Ms Jacel is the daughter of Jamalul Kiram III who sent 200 of his “Royal Sulu Army” to invade Sabah in February 2013. The photo, posted on November 9, is on Jacel’s Facebook page under the name Princess Jacel H. Kiram-Hasan. But Nurul said allegations that she had undermined Malaysia’s sovereignty with the visit was “wild, unfounded and malicious”. In an immediate statement, Nurul said she had gone to the Philippines on November 9 with PKR colleague Chua Tian Chang, better known as Tian Chua, as part of the party’s delegation to meet political stakeholders in the country. The people they met, including Jacel, were legitimate stakeholders and civil society leaders, she said. Nurul Izzah said others include former governor and Congressman of Batangas, Hermilando Mandanas, Congress members Regina Reyes and Silvestre Bello, Dean of Law Amading Valdez, former cabinet member Romy Nery, former undersecretary of justice Wencie Andanar and staff members of the vice-president of the Philippines and the mayor of Manila. The list was decided by her hosts, the council on Philippine affairs and the Asian Institute for Democracy, the office of the City Mayor of Manila and the office of the Vice-President of the Philippines, she added. “In the meeting I stressed our support for Malaysian government initiatives in peace negotiations in southern Philippines. I wish to reiterate my support in defending the sovereignty of Sabah as part of the Malaysian federation,” she said. Earlier, Beaufort MP Azizah said Nurul Izzah’s photo with Jacel was “insensitive”. “She should apologise,” she told reporters at the Parliament lobby. 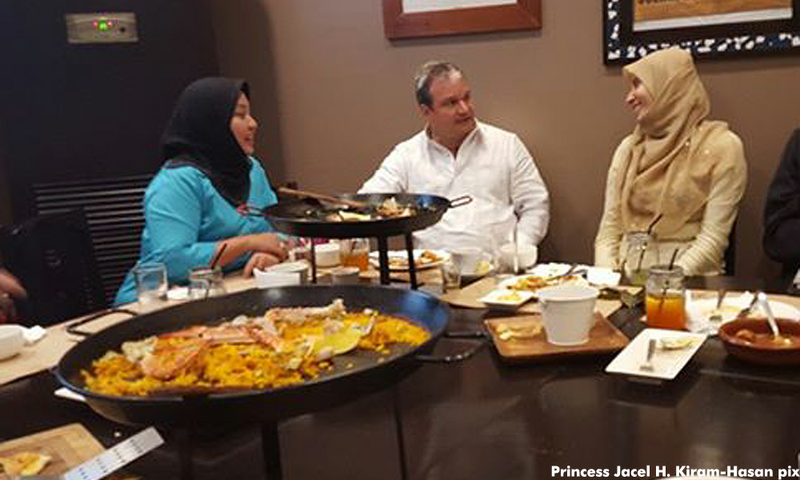 Defence Minister Hishammuddin Hussein condemned PKR lawmaker Nurul Izzah Anwar for posting a photograph which showed her dining with Jacel, the daughter of the late Jamalul Kiram III. He said that if it was indeed true, it was an irresponsible act as with the latest development of Abu Sayyaf and the peace process in Mindanao, the move might impact the security and harmony of the nation.